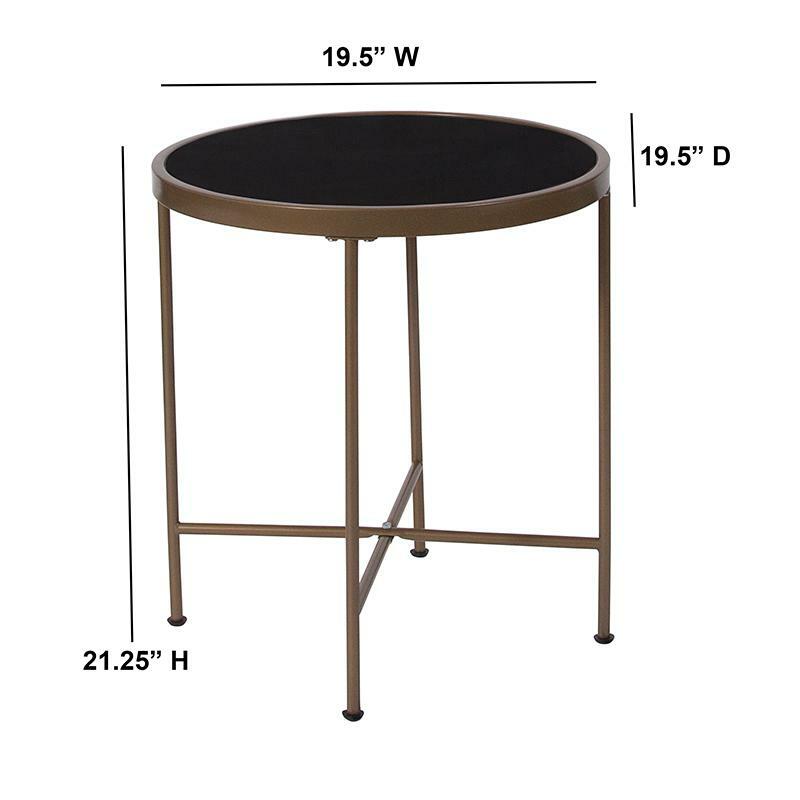 This glass table offers a design that can mix in any room with a circular shape that adds a refreshing design. 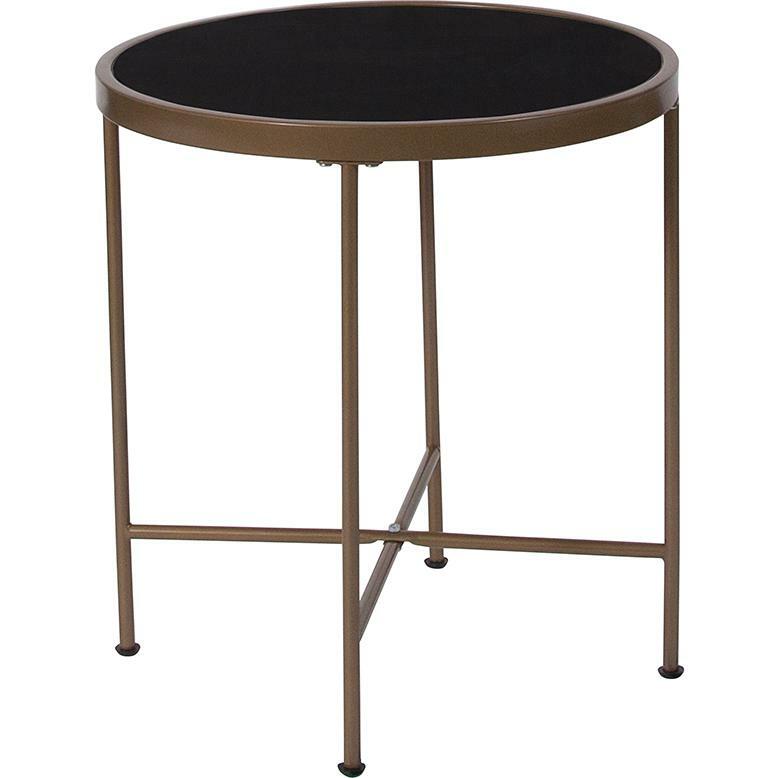 This table combines a sleek, black glass top with straight legs and a round frame to provide a contemporary look that's sure to tie any trendy room's presentation together. The surface area serves as a convenient space for holding belongings or displaying magazines, newspapers, and brochures. 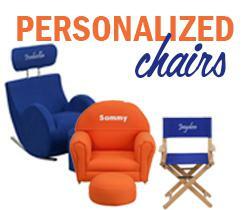 Meanwhile, its compact construction allows it to fit perfectly between sofas and loveseats, or in corners of rooms. The glass also offers a distinct, upscale look, and is tempered for superior strength to ensure it won't break even after heavy-duty use.